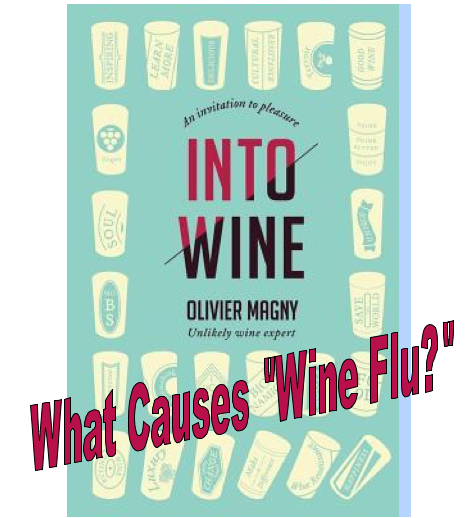 According to wine expert and author of Into Wine: An Invitation to Pleasure, Olivier Magny, “wine should never give you a headache.” “GOOD wine” that is. What’s in your glass doesn’t have to be expensive, but if it’s well made your short buzz wont be followed by a blistering headache. Supposedly. It’s been claimed that the catch between “good wine” and “cheap wine” is the type of sulfites found within them and the amount. “Good wines” that are well made contain low levels of sulfites that are a natural by-product of the yeast metabolism during fermentation (a process of turning grape juice into wine). This type of sulfite is of volcanic origin whereas “cheaper wines” have been infused with high levels of petroleum based sulfites. There are very few wines that are made without the use of sulfites, as wine is perishable and prone to oxidation. This added substance is also necessary to help fight bacteria, and maintain freshness. Not to mention its antioxidant properties! (Read more on antioxidants in wine here: Wine, Chocolate & Dating). Outside of a taste test it’s difficult to decipher between the types of sulfites a wine contains. Therefore, if you were truly concerned the best route would be to drink organic wine as the minimal presence of sulfites are guaranteed (but not the headache).